January is typically one of the slowest months of the year, and this January was no different. We are currently in a buyers market across all property types. Townhome sales are right in line with the 10 year average. 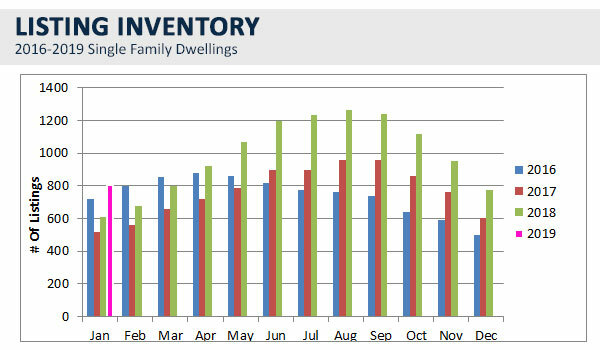 Even though the inventory has climbed a tremendous 114% over last year, we are still just under the 10 year average as well. Over 30% of the inventory is brand new. 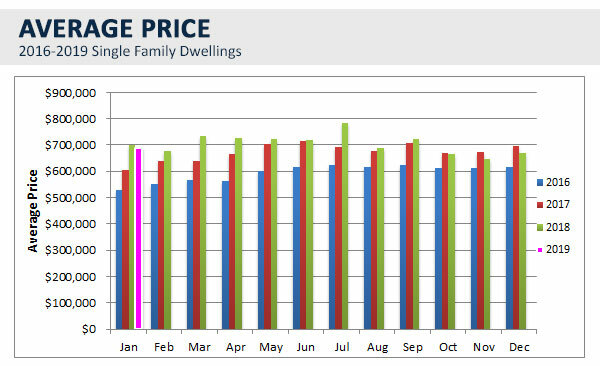 The average price however, is up 10% over last year! Apartment/Condo are now sitting at 478 properties for sale, similar to the 470 that were available in 2015, and less than half of what they were in 2009 (1,045). This isway under the 666 10 year average which is positive. Although sales look grim compared to 2018 (46% less), we are over the 10 year average, and in line with 2016 sales numbers. Apartments are always a lagging indicator though, which explains why they are outperforming the other segments. 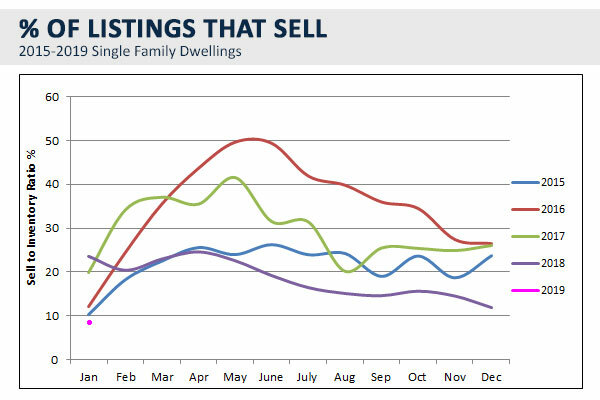 Home listings continue to increase across all housing categories in the Metro Vancouver* housing market while home buyer activity remains below historical averages. The Real Estate Board of Greater Vancouver (REBGV) reports that residential home sales in the region totalled 1,103 in January 2019, a 39.3 per cent decrease from the 1,818 sales recorded in January 2018, and a 2.9 per cent increase from the 1,072 homes sold in December 2018. Last month’s sales were 36.3 per cent below the 10-year January sales average and were the lowest January-sales total since 2009. As economic challenges linger into 2019, housing markets remain on a sluggish pace. January sales totalled 804 units, 16 per cent below last year and 21 per cent below long-term averages for the month. 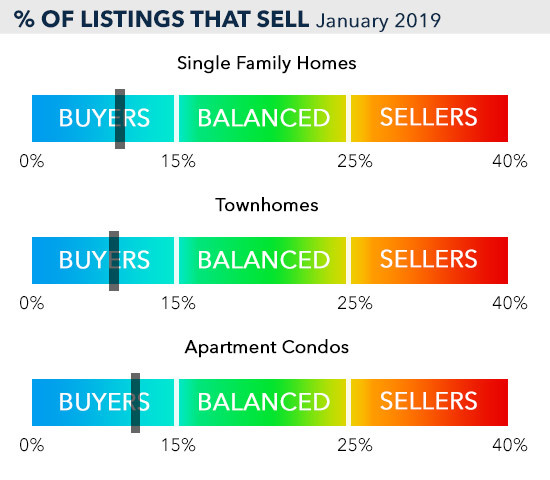 The number of new listings entering the market remained comparable to last year, but those levels far surpassed sales activity. Total residential unit sales in the Edmonton Census Metropolitan Area (CMA) real estate market decreased 15.00% relative to January 2018. Single family home sales decreased 14.34%, condominiums decreased 18.56% and duplex/rowhouse sales decreased 1.02%. 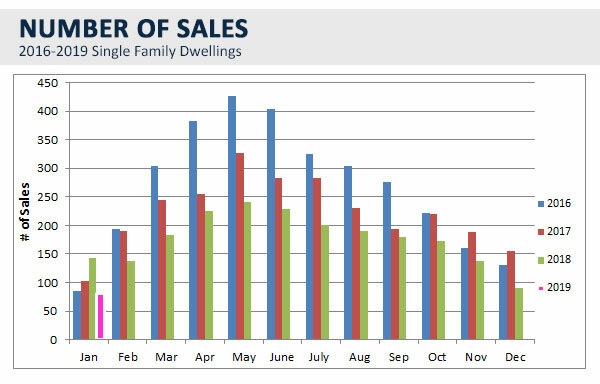 Single family home sales increased 1.51%, condominiums sales increased 22.16% and duplex/rowhouse sales increased 32.88%. Overall, residential unit sales increased 9.75% compared to December 2018. MUST BE SOLD! FRESHLY PAINTED 2 bed, 2 bath condo with 9FT CEILINGS, 1088sqft. FORCED AIR heating/cooling throughout and UNDERGROUND PARKADE. Enter the tile foyer with open concept Living/dining room off the kitchen. 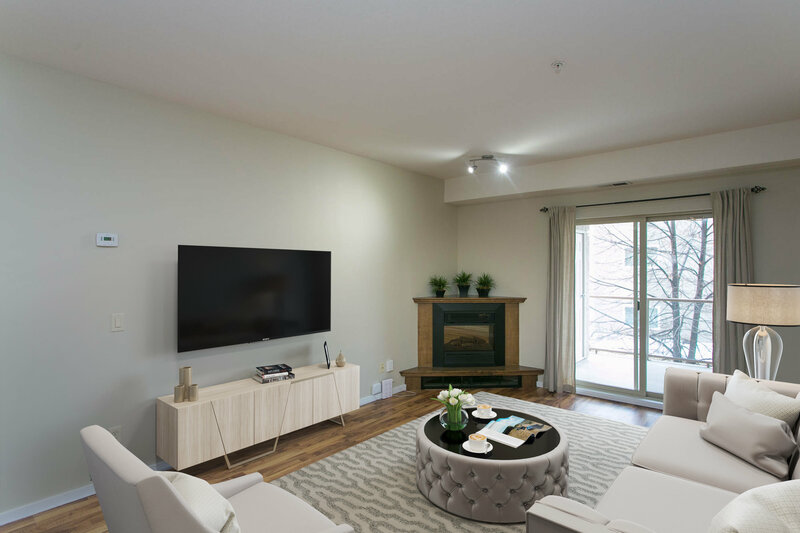 Stay cozy by the electric fireplace in the living room throughout the Okanagan winters or watch the leaves change from the 10×8 patio (BBQ Allowed). 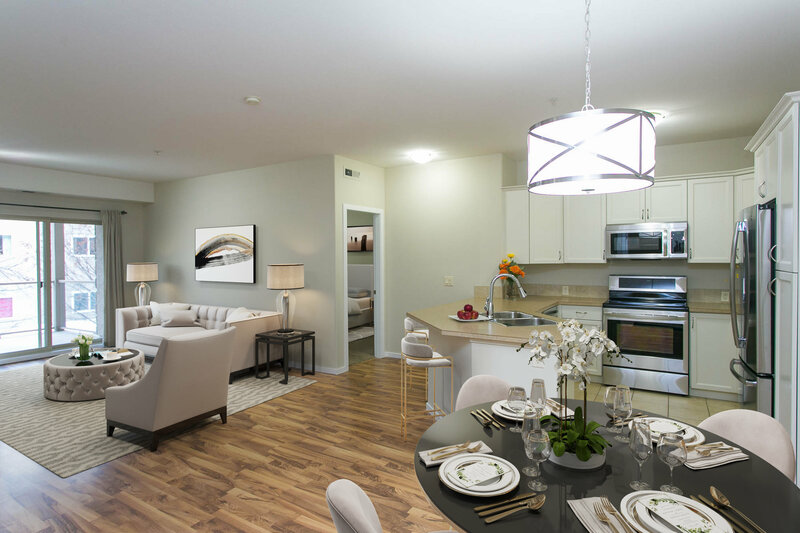 The kitchen has BRAND NEW stainless-steel appliances, freshly upgraded and the extended countertop makes the perfect breakfast spot. The MASSIVE carpeted Master off the kitchen has two bright windows, walk-through closet, and 4pc, tile ensuite. The second bedroom is located on the other side of the unit and is carpeted as well, just steps from the main 3pc tile bathroom. This unit has an extra storage closet in the laundry room making organization easy. The building has ample visitor stall parking (10 stalls: 8 underground/2 above), an exercise room, and bike locker room. 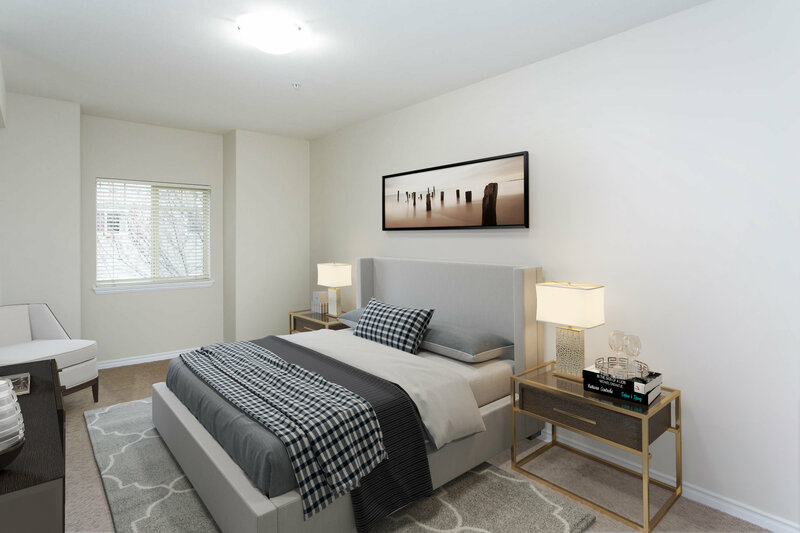 Located only a 5-minute drive from downtown, close to coffee shops, Capri center, schools, and parks. #100 – 1553 Harvey Av.